This is a wonderful surprise “Pillow Gift” for conference delegates or a memento/reminder for delegates that have heard me speak at their conference or for those with a thirst for adventure. In 2003/2004 myself and 4 other guys who did not know how to sail (but they knew a whole lot of other important “stuff”) set off from Hobart in my around the world yacht, “Solo Globe Challenger”. We sailed due south for 15 days to a very remote part of Antarctica. 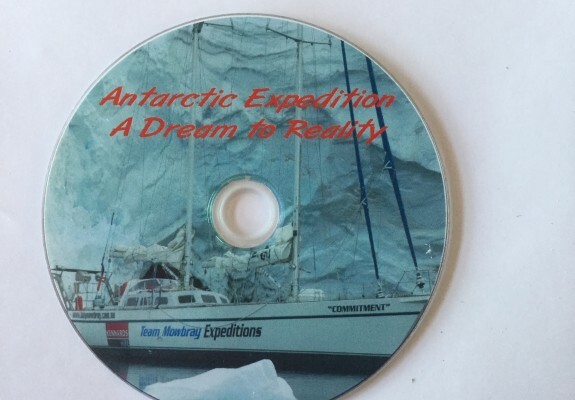 We sailed to the windiest place on earth at sea level….”The Home of the Blizzard” …This documentary became as much about the journey we undertook collectively as well as the personal journey of each us. It is also full of many of my philosophies and personal and corporate parallels surrounding goal setting, team work, leadership, success etc.